The horror genre is a niche genre with perhaps not the biggest fan base – but one of the most dedicated. When it comes to horror video games, there are a few staple franchises (Resident Evil, Silent Hill, Outlast, etc) that are toted as the current and former go-to horror games, but it’s a fan-funded game that brings a famous franchise to life in the virtual world that has changed the genre games as a whole. When Gun Media and Illfonic announced they would be creating a game around Friday the 13th, fans were ecstatic. After decades, one of the horror genres most iconic slasher villains would come to us in a new and exciting platform – but could it live up to the massive hype? For starters, the game was purely fan-funded through Kickstarter and BackerKit really giving fans the ability to see this title come to life – offering various perks that ranged from multiple maps, a variety of skins and more importantly a diverse amount of kills. While the game earned more than one million dollars for the production of a title (which includes licensing features as well) the game became a reality and the excitement levels only continued to rise. 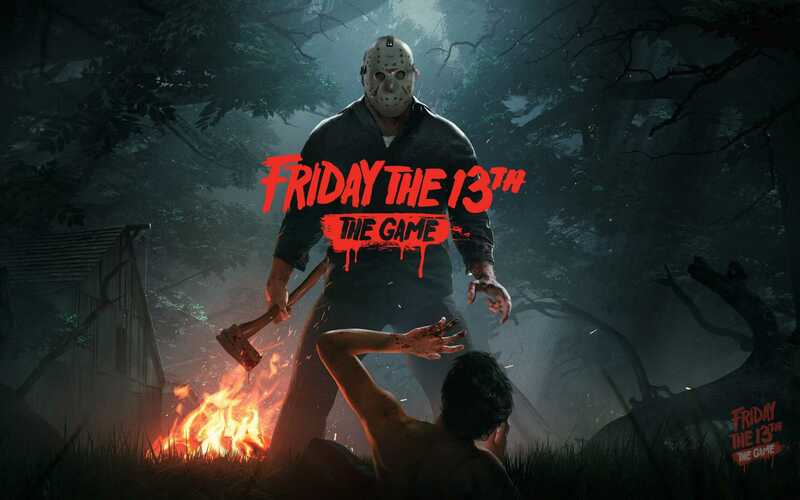 When Friday the 13th: The Game was released in late May after a few small delays, the game had server issues that initially frustrated console gamers, but as someone who didn’t experience the issues (too much at least) it was a game that from the moment you jump into, you feel the ambiance of a true slasher title. The gameplay for Friday the 13th is comprised of an online multiplayer setup, with seven camp counselors to one Jason. For first impressions, you might assume that Jason would have a hard time finding and killing seven other players, but the balance is enough to have different results. Sometimes all counselors might die, in others there could be multiple avenues for escape. Other horror games don’t seem to offer much in the multiplayer capacity – at least not usually more than a couple characters or partnership. The online function makes it the most realistic in terms of creating a horror vibe, with each person having their own idea. Some may want to group together, some may want to go through the match alone, but it’s that choice that makes Friday the 13th unique to other games – the setup is the same but each match promises different results. What I love most about the franchise, is the methods used to make things as authentically horror as possible. You have the option of being in the dark woods, cabins, barns, and houses to hide out in – something that the recent console release Dead By Daylight could take a note from. You could find yourself leaping through windows to avoid the masked killer, barricading doors, or even hiding out as he passes by in pursuit of someone else (been there multiple times.) To make things even more enjoyable, you have a few ways to survive the mayhem: repairing the phone to call police, working on a car to escape, driving a boat or even surviving the duration of the match (20 minutes per match.) This aids my statement about the creativity behind the game as in a real slasher movie all would be plausible escapes to attempt. As if that isn’t enough to intrigue you, weapons and first aid sprays are scattered throughout a each map (flare gun, bat, machete, etc) to better your survival chances. Playing as Jason is an exhilarating feeling (even though surviving the match as a counselor is more adrenaline inducing) with abilities that feel like horror tropes. For example, you can teleport anywhere on the map which wasn’t something Jason did, but was something that felt like the case as a slasher villain could be anywhere. Killing him is ridiculously hard to pull off (rightfully so) but he can be stunned and injured to keep the extensive chase scenes going. As he approaches, the infamous music plays to cue his presence, which is needed for the counselors to have a fighting chance but also amps up the horror energy as if you were in a movie. When the game came out, there were glitches and bugs that have been (and continue to be tweaked) where connection was slowed or people find loopholes to hide out (that lake glitch really irked a few Jasons) but for being a game without a major video game company backing it, I would say that they are truly minor surface issues in the active development of what I would consider to be my favorite horror video game since Left 4 Dead – and that’s from a self proclaimed horror aficionado. Friday the 13th provides us with a third person perspective for Jason and the counsellors (another major plus in my book) and three ever constantly changing maps that keeps your from figuring everything out too quickly and countless chances for success or failure. Overall, the game has plenty of perks and I would love to see the company use the formula to bring other fan-favorite slashers to life in the gaming world – anyone else begging for an open world Scream game with Ghostface? Check out the all around entertaining game available now on Xbox One and the PS4, you surely won’t regret the virtual horror it offers! For the horror-based atmosphere, jump scares and massive range of gameplay possibilities, Friday the 13th earns itself a solid score with successes that other horror games and production companies should take cues from in the future. Keep in mind that it is probably most enjoyable for those die-hard horror fans and conversely, those who scare easily because not many games have gone the slasher route all that well. – The game surpassed my hopeful expectations and feels like I could play it for years to come. – The gameplay and mapping are wonderful additions to the concept and designs. – I can’t wait to see what additional DLC is in the works… and I’m entirely serious about hoping this can be a gateway game for more slasher franchises. The 2017 horror/thriller film Get Out is most likely a movie that everyone has at the very least heard about, written by Jordan Peele. Peele (largely recognized for his comedic presence in Key and Peele or MADtv) took a step out of his comfort zone and created Get Out which strays from his genre norms by tackling a horror film with satire and nods to racial injustices as well as present-day inequalities. 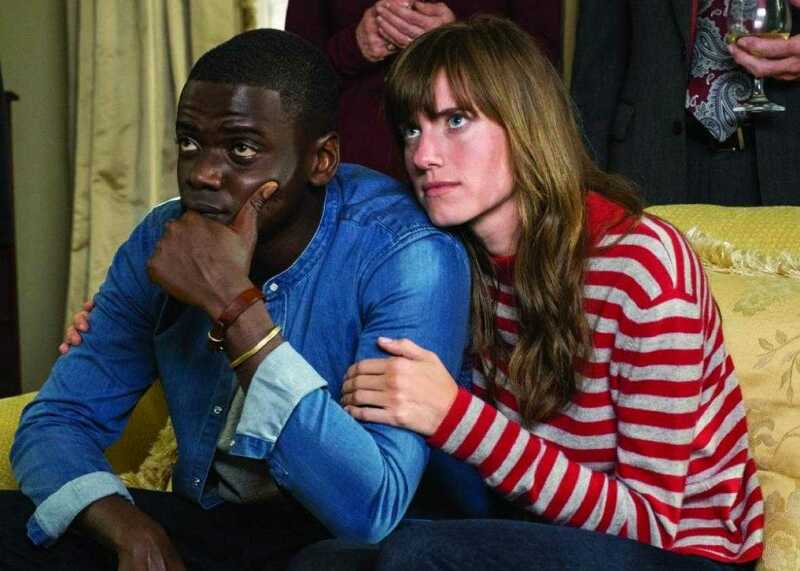 The film centers on Chris (played by Daniel Kaluuya) who is dating Rose (Allison Williams) having reached the all important parental introduction aspect of the relationship. The pair embarks on a trip to upstate New York to visit Rose’s family when things take a turn and Daniel’s concerns about an interracial relationship are intensified with something far worse. Initially, there is a premise that ties into learned paranoia with Chris feeling isolated being the only black man amongst several white men and women who come off so “supportive” of the pair it smells disingenuous and increasingly grim. That’s when the film takes off into a satirical horror film that delves into murder, racism, hypnosis, and a supporting character who finds the funny in just about every situation. The first act of the film feels much more like social commentary on today, quickly shifting to address slavery and perspective on history that many films have had a hard time telling efficiently. While many want to label Get Out as a horror film, it is the social messages and discussions it sparks that indicate it has more to offer as a thought provoking social thriller (with satire) over anything else. Kaluuya plays the role of Chris as if you can read nearly all of his emotions without any dialogue when it comes to the transition through love, to paranoia and nervousness and ultimately the anger required to overcome the themes of the film. Not to mention, so many moments of the film are like stills for an art exhibit through capturing the characters (Chris) story. The character Rose felt perfect for Allison Williams (not because I think she is similar at all, she’s not a monster) but because Allison Williams is someone generally known for comedy as well – but in Get Out she shows off qualities that you wouldn’t think her character had or that Williams would be featured in. Prime example, the phone conversation she has with the comedic Rod (Lil Rel Howery) was something that gave Williams her chance to show different acting chops. The home release edition of Get Out contains an additional ending that was meant to address yet another issue – the increasing incarceration of black men in america. As you may have known, the ending for the film was mostly optimistic given what Chris had gone through but things could have gone differently if he had used the alternate ending, Chris getting arrested for the end result. He would have been able to live with it having stopped their heinous crimes, but luckily Peele found that it needed a more hopeful approach that was a great conclusion to a group of characters with some wicked scary karma headed their way. With a stand out cast and crew backing the film, themes taking on modern forms of racism (via this dreadful Trump era) there can’t be many negatives said other than the incorrect advertisement as a straight up horror flick, because Get Out may shed light on the horrors of racial tension and inequality, I view it as something deeper that many deemed necessary for the society we are living in. All the way to the last scene, there are moments that point out the way people are conditioned to think (the car scene with Chris) that make it a classic in the making for audiences. Get Out deserves recognition for spotlighting liberal racism and so much more, making it a film that is sure to get people talking – exactly what Peele wanted. – The exploration of being an interracial couple today was a humorous spin on something that actually needed to be showcased. – The cinematography in Get Out was purely magical, horrific and brilliant simultaneously. – I am curious to see how Peele will follow up the success of the film with – perhaps something in the slasher variety?